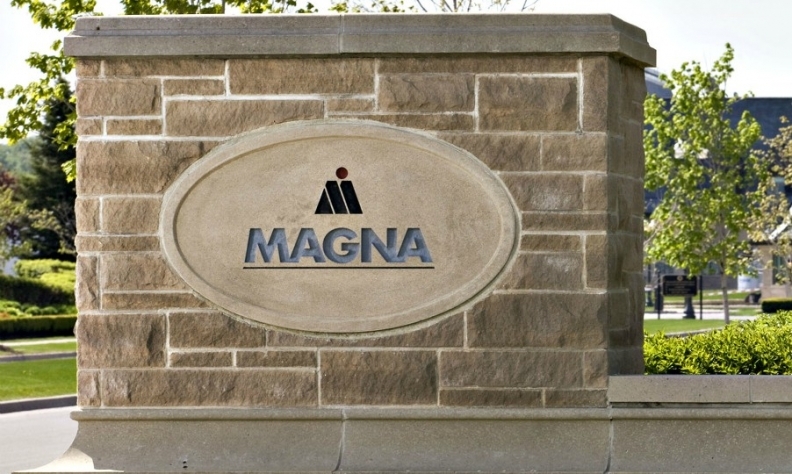 Diversified Canadian supplier Magna International Inc. reported a 13 per cent year-over-year gain in second-quarter net income on record sales, even as it lowered its outlook for 2018 in response to tariffs. Magna on Wednesday said it earned $831 million (US$636 million) in the quarter ended June 30, up from $733 million a year earlier. Sales rose 12 per cent over the same time period to $13.4 billion. Sales rose in each of the regions Magna operates, though much of the growth was driven by Europe. European sales surged 28 per cent to $5.6 billion. Sales in North America, Magna’s largest market, gained three per cent to $6.8 billion, despite lower light-vehicle production, while sales in Asia increased seven per cent to $910 million. The record revenue and higher earnings came despite tariffs issued by the Trump administration, lower sales in its complete vehicle assembly business and lower-than-expected performance of a joint-venture transmission program in Europe and China. The company lowered its 2018 outlook in response to those headwinds. It anticipates North American light-vehicle production at 17.2 million units on the year, down from 17.3 million, and total sales of between $52.7 billion and $55.5 billion, down from between $53.4 billion and $56.3 billion. “Our updated outlook for 2018 substantially reflects the strengthening U.S. dollar, reduced equity income from joint ventures in our transmission business, and the estimated impact of tariffs,” Magna CFO Vince Galifi said in a statement. Magna expects tariffs to hurt its earnings beginning in the third quarter, with an estimated second-half impact of about $39.1 million. Most of that impact will be felt at Magna’s U.S. plants, with its plants in Canada and Mexico affected to a smaller degree, due to higher steel and aluminum import costs and tariffs on goods imported from China. The Trump administration in May put a 25 per cent tariff on steel imports and a 10 per cent tariff on aluminum from Canada, Mexico and the European Union. The White House has also mulled a 25 per cent tariff on imports of vehicles and auto parts, an idea the auto industry has heavily criticized. Despite concerns over tariffs, Walker said there is some reason for optimism with renegotiations of the North American Free Trade Agreement. A round of NAFTA talks between the U.S. and Mexico have entered their third week as discussions around automotive content takes centre stage. Second-quarter sales in Magna’s body exteriors and structures business rose 11 per cent to $6 billion. New program launches, including the Chevrolet Traverse and Jeep Cherokee, offset a decline in production volume in other vehicles it supplies. Revenue in its powertrain and lighting business jumped 11 per cent to $4.2 billion on new programs, despite the troubles with its unnamed transmission joint venture. Seating sales gained four per cent to $1.8 billion. Revenue from Magna’s vehicle assembly business, in which it builds vehicles for automakers including Mercedes-Benz and BMW, surged 47 per cent to $1.7 billion. It built about 33,500 vehicles in the second quarter, up from 21,300 a year earlier. The increased sales volume did not translate into higher earnings at the complete vehicles business. The unit’s adjusted earnings before interest and taxes fell to $1.3 million from $19.6 million a year earlier.